Are You Looking For A Great Paddle Board For Surfing? Not every SUP paddle board is the same and not all of them can be used for surfing. If you are planning a trip to different countries where you hope to do SUP surfing with your own board, the best recommendation would be to get an inflatable SUP board that is specifically designed for surfing. Yet you don’t want to just buy the cheapest board on the market, as quality and durability are key in getting the most out of your board. 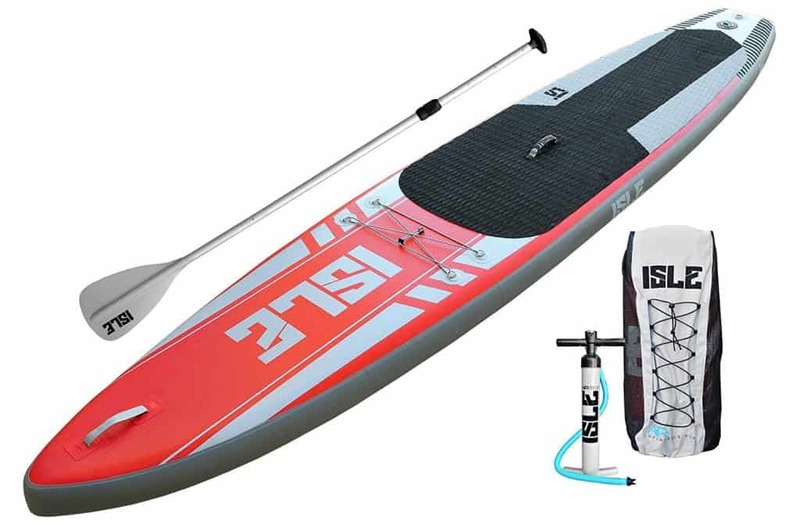 There are many great SUP boards available, but for quality, excellent pricing, and durability, the ISLE Airtech Touring Inflatable stand up paddle board definitely deserves recommendation. Following is all you could want to know about this baby and why it should go along with you on your world tour. A normal paddleboard without length is great for standing up and paddling around, but when it comes to riding the waves you want a longer board that will be easier to balance when surfing a big break. Longer boards are typically easier to maneuver than shorter ones, although they can be difficult to carry for shorter surfers. The hull material helps to keep it strong and durable even during the toughest of environments. Because surfing is an activity that is high-intensity and where the board receives a heavy beating, so to speak, you want to make sure that the board that you use has a great stich and is made to withstand heavy abuse. The Isle Airtech does not disappoint in this regard, with its Military Grade PVC construction that ensures that it won’t come undone very easily. It has a slight upturned bow that is one of the reasons why it’s so good for surfing as this helps to make it easier to cut through the waves and adds speed and agility to your paddleboard surfing experience. Most surfers will find that a paddleboard without this type of upturned bow is much more difficult to maneuver while trying to surf in challenging conditions. The fact that it can hold up to so much weight means that even taller and larger SUP surfers can use it for surfing. To make it easier for travel, the board comes with a pump and backpack so that you can transport it anywhere and everywhere. The fact that it is inflatable may mean that it isn’t as sturdy as a regular stand-up paddleboard, but you can be sure that you will be able to do SUP surfing anywhere that you choose to go in comfort and style. Because of its width, surfers can trust that they will be using a sturdy board that will help keep them standing up even on the wildest of waves. Also, if you are hoping to use your board both at home and on your trips, it’s a great board for beginners, whether you have kids who would like to use it as well or if you want to share it with friends. 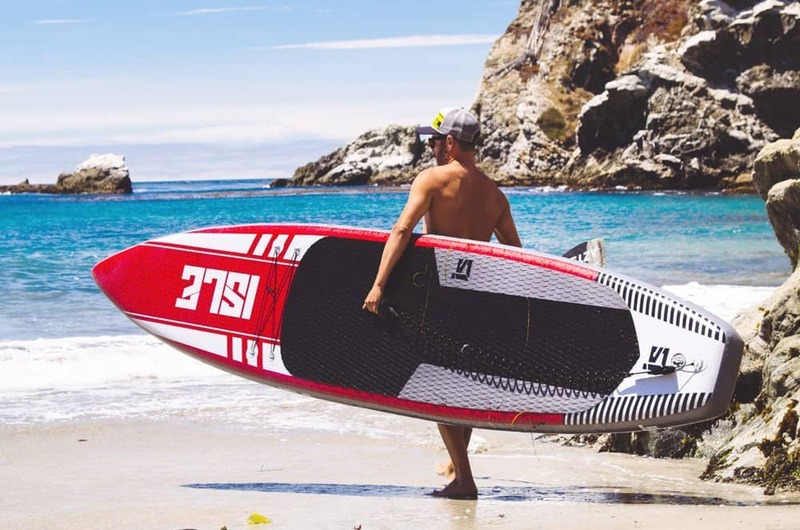 There are several boards on the market, but the Airtech Touring SUP provides users with a reliable inflatable board at an affordable price and includes everything you may need for SUP boarding in the package. The fact that is made from quality materials ensures that you can get long-lasting use from it for months to come. From its top quality stitching to its upturned bow, Isle has designed a great board that can be relied upon for surfing anywhere you want to go. 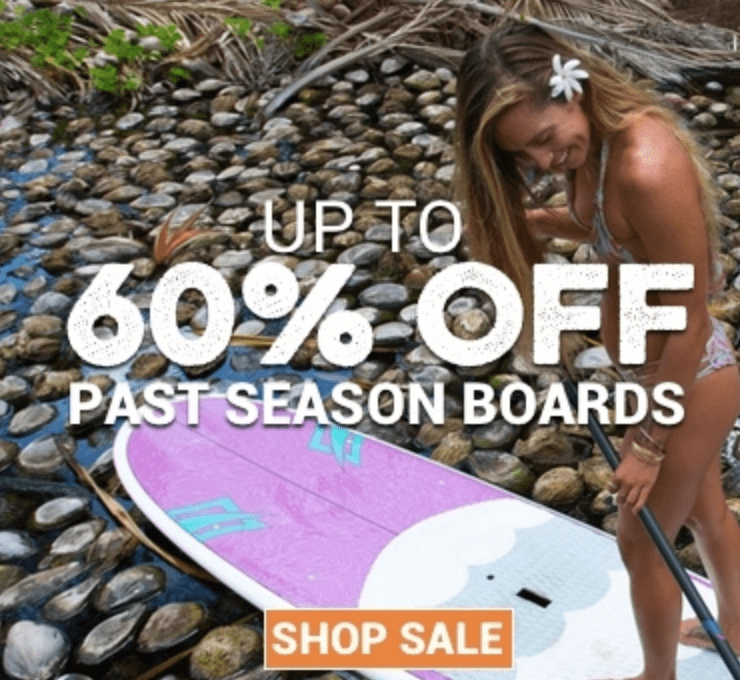 Whether you are setting out on the trip of your lifetime to surf destinations such as Indonesia, Sayulita and Zicatela in Mexico, to the “down under” in Australia or you simply want to use it for river SUP paddleboarding back home, you can rest assured that this board will provide you with hours of fun and safe surfing. Just because it is inflatable doesn’t mean that it isn’t durable. This doesn’t get an almost perfect 5 star review for no reason. 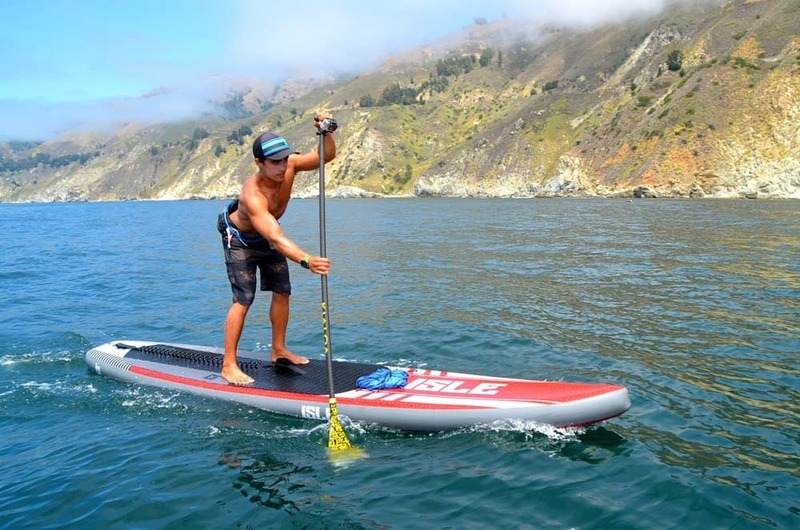 The Isle Airtech Touring SUP is our choice for the best inflatable paddle board for surfing. There are obviously a lot of boards to choose from and some people may have a difference in opinion, but overall you really can’t go wrong with this board when it comes to an inflatable. We base our choice on a combination of reliability, usability, and cost.